michaelnewbern.com » Westgate Mall Massacre: How Do We Prevent It? 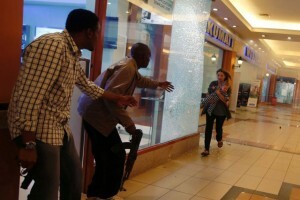 Home » Firearms » Westgate Mall Massacre: How Do We Prevent It? Last month, ten to fifteen Islamic terrorists sieged the Westgate Mall in Nairobi, Kenya. We watched in horror over the next three days as photos and reports of atrocities were paraded in the news. In the end, they horrifically killed 61 civilians and 6 security officers. Such an attack is possible here. If it occurs, it’s likely to happen in a target rich environment. It’s likely to happen in a place where victims can’t fight back. It’s likely to happen in a place where citizens aren’t carrying guns. It stands to reason that terrorist attackers would want the most return on their efforts. The decision is not political. It is tactical. In fact, with the exception of two bombings, no public act of multiple victim (mass) terrorism has occurred where citizens were permitted to carry concealed firearms since Florida first adopted “shall issue” licensing in 1987. One can even argue that guns were effectively banned at the sites of those two bombings. It is reasonable to think that very few people were carrying concealed handguns in The World Trade Center when it was bombed in 1993. New York has had some of the most restrictive gun laws in the country for decades and is still a “may issue” state. Many of the people at the finish line of the Boston Marathon bombing were bussed in from surrounding schools. Much like in the campus concealed carry argument Students for Concealed Carry makes, disarming law-abiding citizens at one location disarms them for the entire day. Government forces were slow to respond that fateful day in Kenya. Private citizens were not. Members of a local gun club rushed to the mall within minutes of a frantic text message sent by one of their own standing in line at a bank. Their efforts saved numerous lives, but only after the attack started. Restrictive gun laws all but insured the victims couldn’t initially fight back. How would that event have played out differently if one them were armed at the outset of the attack? We can’t know for sure, but we can point to several instances where armed resistance offered by private citizens helped minimize tragic loss of life. A 2007 Colorado church shooting was halted when a former police officer engaged the bad guy with her privately owned concealed carry handgun. A 2009 home invasion planned massacre was stopped by a college-aged concealed weapons permit holder. A 2009 robbery at a Virginia store in which the gunman opened fire on patrons was stopped when a friend of the store owner shot him with a replica 1875 Remington Army .45 Long Colt. An unwelcomed guest returned to an Arizona party in 2013 armed with a rifle and began shooting indiscriminately until a concealed carrier returned fire. One cannot ignore the role that private citizens play in their own safety and the secondary benefit society in general realizes. This is the second of a three part series I am developing with the help of Greg Ellifritz of Active Response Training. You can read part one here. Watch for part three soon. You can follow me on Twitter and Facebook for automatic notification.